Onion Pakoda, all time favourite snacks. 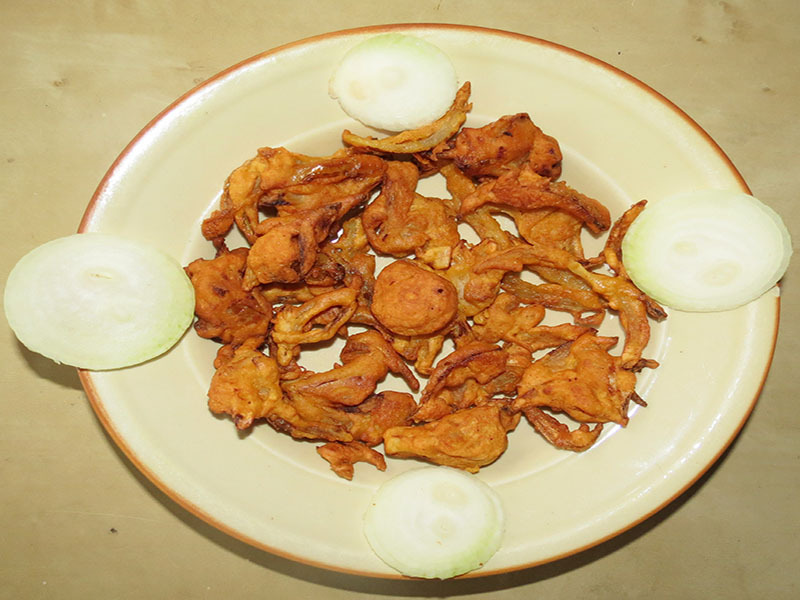 Onion Pakoda is an all-time favourite starter snack in most Indian party menu. Onion has a high content of carbohydrates, some protein and traces of vitamins and iron and has sodium, potassium and calcium. This can be prepared in very less time & makes a mouth watering combo with hot coffee. In a mixing bowl, put onion slices, salt, red chilli powder and besan. Mix everything with hand and leave it aside for about 20 minutes. Heat Oil in a kadai, roughly make small fritters and deep fry in oil. Drain out excess oil on a paper towel. You can serve this as evening snacks with hot tea or coffee .